Paul Le Blanc, Unfinished Leninism: The Rise and Return of a Revolutionary Doctrine (Haymarket, 2014), xi, 237pp. Paul Le Blanc’s Unfinished Leninism, a collection of 12 essays, most of them previously published on socialist websites or in publications in the last few years, mixes biography, historical summary, polemic and contemporary strategy. It does not merely summarise the life of Lenin, his political ideas and the tradition with which he is identified; it also explains the relevance of the revolutionary leader, and of Leninism, to our own times. The book aims to persuade readers that Lenin ought to be taken seriously, his ideas applied creatively to new realities. This is an unfashionable task: Lenin has long been written off as at best irrelevant, at worst dangerous, by mainstream politicians and academics. Moreover, he is also regarded as outdated or irrelevant by many on the left and among those who are entering radical or anti-capitalist politics. Marxism in general is no longer automatically a major reference point for radical activists. The notion of revolutionary organisation in the tradition of Lenin and the Bolsheviks has become particularly marginal for a number of reasons: the small size of the revolutionary left can make it seem insignificant, the sectarian degeneration and impotence of much of it has made it unattractive, and the body of ideas – Marxism – which underpins it is still little understood. Numerous alternative ways of organising have been offered, though all of them have encountered profound difficulties. The case for a renewal of revolutionary organisation may be unfashionable, but in a world of growing inequalities, seemingly intractable crisis and deep social injustice, it is one that deserves serious attention. Lenin is an important figure in history as the leader of the Russian Revolution of 1917, a central figure in the international Communist movement that developed in its aftermath, and the first leader of post-revolutionary Russia until his death in 1924. Lenin has been reviled by successive generations of conservative politicians, historians and political commentators precisely because he was a key protagonist in a revolutionary, mass working class challenge to capitalism - to the wealth and power of the ruling class - of huge historic significance, serving as inspiration to workers and oppressed people worldwide. But he has also been a source of contention and disagreement among many who have rejected the status quo of exploitation, inequality and oppression because the Soviet Union became, under Lenin’s successor Stalin, a grotesquely undemocratic, unequal and violent society. The view that Lenin led inevitably to the horrors of Stalinism became the orthodoxy in the Cold War era. 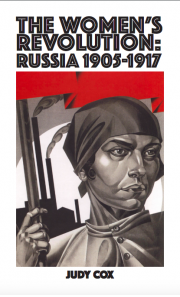 It requires considerable historical analysis to uncover why the fledgling revolutionary state which emerged from 1917 became the opposite of what Russian workers, soldiers and peasants had struggled for. This largely falls outside Le Blanc’s remit in this book, but he directs readers towards such analysis and seeks to rescue Lenin from the crimes committed in his name. The rise of Stalinism was made possible by the isolation of the revolution: though there were revolutionary upheavals and popular rebellions in several European countries, none of them resulted in the defeat of the old order. Meanwhile, revolutionary Russia was attacked by imperialist armies and, for a time, engulfed in civil war. Economic hardship and the demands of protecting the new revolutionary state from attack and civil war had a devastating impact on the working class and the scope for any sort of meaningful working-class democracy. The rising bureaucracy became, in this context, more powerful, centralised, and removed from the experiences of ordinary workers. Since the end of the Cold War, there has been some renewed interest in what the author dubs ‘Lenin studies’, with some fresh thinking unencumbered by the rigid orthodoxies of the Cold War era, yet the dominant interpretation of the upheavals of 1989-91 was that they ‘finished’ Leninism for good. This confirms notions of triumphant free-market capitalism and the elimination of any radical, progressive alternatives. Public perceptions of Lenin in the West are still mainly shaped by anti-Communist propaganda of the Cold War era and the association of Lenin with the subsequent Stalinist era. Lenin is also significant as one of the towering figures of Marxism. Le Blanc stresses Lenin’s continuity from Marx; his deep rootedness in the writings of Marx and Engels. At the same time he summarises Lenin’s special contributions to a rich political and intellectual tradition, one that depends always on being creatively applied to new situations and on interaction with the lives and struggles of working-class people. Lenin was the author of such influential Marxist texts as What is to be done?, Imperialism, the highest stage of capitalism, State and Revolution and Left Wing Communism, an infantile disorder. Le Blanc argues – persuasively in my view, though some will disagree – that it is justified to talk of ‘Leninism’: a body of ideas and analysis that updated and developed Marx’s own writings, involving the application of Marxism to Russian realities and more generally to an era of capitalist expansion, imperialist competition and war. More positively, Lenin’s era witnessed the growth of mass socialist parties and trade unions, and successive waves of popular struggle, opening up new opportunities for Marxists but also presenting fresh challenges which Marx and Engels had not faced. Lenin’s contributions included analysis of Russian capitalism’s particular development, an account of the emergence of modern imperialist rivalry in the era of monopoly capitalism, and a nuanced understanding of nationalism and national liberation movements. Le Blanc sketches the contexts which shaped the development of these ideas, including the debates which took place among Marxists. There is a fascinating essay examining the connections and differences between Lenin and Rosa Luxemburg. They are often counter-posed to each other, but Le Blanc demonstrates that any differences between their outlooks were fewer than often supposed, while teasing out the significance of the genuine differences – for example over the national question - that did exist. Lenin also developed important ideas about socialist strategy: a thorough and innovative understanding of the relationship between movements for democracy and the struggle for socialism. He developed a strategic perspective that linked Russian workers with the rural peasantry, and some original analysis of revolutionary processes. This was informed partly by his own revolutionary experiences in 1905 and 1917 as well as the legacy of earlier breakthroughs like the Paris Commune of 1871, which was the first experience anywhere of working-class people taking control, albeit briefly, of the running of a city. The period following the Russian Revolution opened up further strategic challenges, which required new thinking. The urgent need to spread the successful revolution and simultaneously learn from the Russian experience, while engaging with distinctive situations in other countries, prompted the launch of the Third International (or Comintern) in 1919 and the developing body of ideas and strategy that went with it. 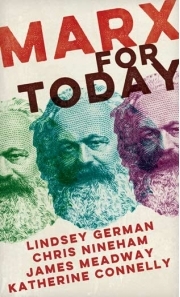 This included sharp critiques of both European reformist politics and the problems of ultra-leftism, and the emergence of the united-front strategy as a means of advancing working-class aims in non-revolutionary times. I agree with Le Blanc when he writes that it is peculiar – when considering these contributions - for some contemporary critics to dismiss the idea that there is such a thing as Leninism, or that Lenin’s influence of the development of Marxism was either minor or largely limited to organisational questions. He also adeptly discredits the idea that ‘Leninism’ was an invention of those who followed Lenin and should be rejected on that basis. While it is true that Stalin and others created an ossified and obscenely distorted ‘Leninism’, there is nonetheless a real body of ideas associated with Lenin. Lenin was shaped by the best of Second International (1889-1914) Marxism, but he also moved beyond some of its limits. 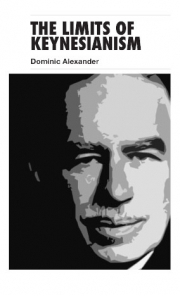 Although one of an able generation of Marxists, also including Leon Trotsky and Rosa Luxemburg, and later Antonio Gramsci and Georg Lukács, he did make his own distinctive contributions as part of a collective enterprise. Lenin can be seen as ‘first among equals’ in the development of Marxism during this period, interacting with the ideas of others and the debates among socialists while making significant innovations. In addition to Lenin’s significance as an influential historical figure and giant of Marxism, he is important because his life and work, more than that of anyone else in the history of socialism, is bound up with the whole question of how revolutionaries should organise and act in pursuit of their goals. He can reasonably be regarded as history’s greatest revolutionary leader. But what made that historical role possible? How did Lenin and his comrades actually organise themselves, and what lessons (if any) does this offer us today? It is the questions of strategy and organisation that most often prompt debate about Lenin, and his legacy, in left-wing circles; this is as true today as it has ever been. Lenin was a pioneer of distinctively revolutionary organisation and the experiences of the Bolsheviks (the faction and later party that he led) from 1903 to 1917, are a particular focus for debate. Le Blanc challenges the oft-expressed idea that Stalinism originated in pre-1917 Bolshevik practices and the myth that Lenin undemocratically dominated the Bolsheviks, which was in fact a democratic, collective organisation in which debate flourished. He skilfully clarifies the genuine meaning of ‘democratic centralism’ for Lenin and his contemporaries. He also critiques the idea, currently prevalent in some debates, that there was nothing especially distinctive about the Bolsheviks, treating the argument of Lars Lih (among others) that Lenin was essentially a standard Second International Marxist until 1914 with critical sympathy. He recognises the degree of truth in this. Lenin didn’t, prior to 1914, view the Bolsheviks as a new and special type of organisation or as substantially different from some European socialist parties, but he also explains how the Bolsheviks had in fact developed quite differently from the likes of the German Social Democrats, which had become increasingly geared towards parliamentary politics and compromise with capitalism. The outbreak of World War One, and corresponding collapse of most socialist parties into national chauvinism, was a turning point, after which the differences became sharper and the thinking of Lenin and other revolutionaries continued to evolve. For those who seek to change the world, not merely understand it, wrestling with Lenin’s writings about strategy and organisation – and equally importantly his actions – is indispensable. The revolution he led was the only successful overthrow of capitalist state power in world history and, though it may have been beset by problems from the beginning, and unsuccessful in the longer term, the experiences involved remain a unique school in strategy and tactics for anyone wanting to end the miseries of capitalism and create a better world. A central preoccupation for the author is the excavation of Lenin and the Bolsheviks’ deep commitment to democracy, the profoundly democratic possibilities inherent in the Russian Revolution and the democratic character of how Lenin and his comrades organised. He refutes several well-worn myths along the way, clearing away the misconceptions to present a view of Lenin as a radical democrat, and his revolutionary socialism as a political project with democracy at its core. This is acutely relevant to our own times, in which democracy is visibly the loser in its struggle with capitalism, and when struggles for real democracy are integral to struggles against various aspects of the capitalist system. The recovery of Lenin’s radical democracy is especially necessary because of the widespread distortions of Leninism in the name of Leninism; most importantly those associated with the old Communist bloc, but also (as the author notes) the faulty versions of ‘Leninist’ practice that many well-meaning socialists have pursued in the West. These have seen dogmatic and somewhat sectarian groups competing with each other and largely cut off from influence over the broad working-class movement, therefore giving Leninist organisation a bad name. The particular context framing this latest volume is twofold, with both social and more specifically literary dimensions. Firstly, there is the wave of insurgencies that have followed the emergence of a severe crisis for capitalism since 2008: Arab revolutions, Occupy, anti-austerity rebellions, the indignados and other manifestations of anti-capitalist revolt. This has, rather paradoxically, not led to a general revival of organised left-wing politics – though there are partial exceptions, such as in Greece, Spain and parts of Latin America –and it certainly has not proved the basis for a renewal of specifically Leninist (or revolutionary socialist) political practice. However, the idea of revolution is certainly in the air, partly due to the Arab uprisings of 2011 and partly because the erosion and fragmentation of traditional parliamentary politics has fed a volatile situation in which rhetoric about ‘revolution’ (e.g. the public debate prompted by Russell Brand’s new book) is rather more mainstream than a few years ago, however ill-defined it might be. The traditional revolutionary left, though, has in shrunk, fragmented and in many instances become politically sterile. The reference to the ‘return of a revolutionary doctrine’ in this book’s subtitle may for now be mostly wishful thinking, but the conditions clearly exist for considering that as a live possibility. The political radicalisation and volatility of recent years, the stirrings of debate about what is meant by ‘revolution’, and the small breakthroughs in ‘Lenin studies’, can all, in quite different ways, be seen as providing some basis for hope. Secondly, there is a somewhat more favourable context for the publication of a new book on Lenin and Leninism, which is a partial revival in worthwhile scholarship on Lenin. Although the leader of the Russian Revolution largely remains a marginal, caricatured and derided figure, in politics, media and academia, there has been a series of books in recent years, generally written from a sympathetic left-wing perspective, that have generated some debate and welcome re-evaluation. Lars Lih, who wrote the path-breaking 2006 book Lenin Rediscovered, has been foremost in re-assessing Lenin’s ideas, practice and context. Lih’s work in particular keeps cropping up – not without some criticism and disagreement, but with tremendous appreciation – in Le Blanc’s new collection. Canadian historian John Riddell’s on-going labour of love in editing the proceedings of the Comintern, from 1919 until the mid-1920s, is another vital reference point. Le Blanc’s essays involve reviewing some newer biographies and studies, but there are also references to older but still very useful works by the likes of Tony Cliff, Marcel Liebman and Ernest Mandel. Le Blanc has decades of both study and practical experience to draw on in writing about his subject. His experience is as a revolutionary socialist activist in the US and he is acutely aware that the context in which he has been active is a radically different one from Lenin’s own, so any lessons from Lenin must be thought through in relation to contemporary reality. Unlike many of his peers, Le Blanc has remained a dedicated Marxist, though conscious of the need for an independent, critical and open Marxism which runs counter to the dogmatic orthodoxies which have so often plagued the avowedly Leninist left. He writes of the need for ‘guidelines’ rather than dogma when appreciating Lenin’s legacy. 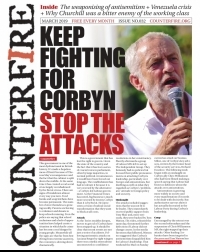 I had previously read a number of the essays (though they all paid re-reading) and I heard their author deliver the talk at the Dangerous Times 2013 festival which is included here (and previously published on Counterfire). Le Blanc has previously written studies of the Marxist tradition, with a special focus on questions of organisation and strategy, and edited or co-edited selections of writings by Lenin, Trotsky and Luxemburg, all of which I warmly recommend. His concern in all these writings has been to update our understanding of the intellectual contributions of the most influential figures in the tradition and to indicate how they can serve activists in renewing the tradition. Consequently his style is lucid and accessible, blessedly devoid of academic jargon, and there is a rich sense of the wider context of socialist debate in Lenin’s own time. The format, a selection of essays, written at different times for different audiences, inevitably leads to some repetition, but the author just about gets away with it. The selection animates a series of debates among contemporary writers and activists about aspects of both the historical record and the legacy. There are critiques of a range of recent works on Lenin, including a number of biographies, relevant historical works and the 2007 Lenin Reloaded collection of essays by left-wing intellectuals. 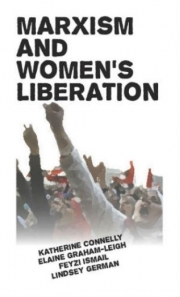 Overall the book succeeds as both an introduction to the life, times, ideas and legacy of Lenin, and as an insightful discussion of important issues for today’s activists. It can be dipped into and read in any order that suits the reader. Several essays could reasonably serve as an introduction to the topic, while others are more pitched at those familiar with certain debates. When disagreeing with other writers, Le Blanc is admirably fair and does justice to any arguments he is disputing, though he is not afraid to criticise or re-think orthodoxies. The title is inspired in part by a fraternal disagreement with Alex Callinicos, chief theoretician of the British Socialist Workers Party, after he penned an article asking ‘Is Leninism finished?’ Le Blanc agrees with the answer proffered by Callinicos – no it isn’t finished, but is instead still acutely relevant – but points out that ‘finished’ has a dual meaning. It suggests ‘irrelevant’, but it can also mean ‘complete’. The problem with Callinicos is that he appears to lapse into presenting Leninism as already complete, a doctrine to be passed down the generations rather than as a space for creative renewal. For Le Blanc, Leninism is unfinished in both senses: it is still relevant and it still requires constant updating and applying in light of new experiences. Rather than defensively repeating a doctrine, the advocacy of Leninism ought to be critical and creative. The concluding essay is, appropriately, where Le Blanc is most explicit and forthright about renewing Leninism today and for the future. He rejects the notion that anything resembling a revolutionary party already exists anywhere in the world. We are instead at an earlier stage of development in renewing revolutionary organisation and it is necessary to avoid false or inflated ideas about the organisations we are building. He convincingly argues that it is (self-) destructive for relatively small organisations to imagine themselves as the definitive Leninist party, when in fact they can at best be something far more modest: a contribution to the re-composition of an authentic revolutionary left. This does not mean treating the building of such organisations lightly; rather, it suggests seriousness of purpose combined with a healthy sense of perspective and openness to different possible realignments. He reasserts the centrality of participation in actual working-class struggles and the need to relate Marxist ideas to people’s struggles and experiences. The fusion of socialism with the working-class movement is the historic core of the Marxist tradition, as a practical endeavour not merely a scholarly exercise, and it remains essential. 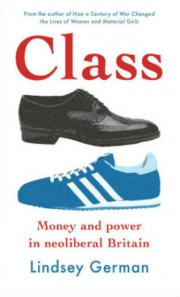 But he also notes the difficulties we face when there is not the same kind of mass class-conscious working-class vanguard, with powerful traditions of struggle, ideas and organisation, which existed in roughly the first third of the twentieth century. The process of renewing revolutionary organisation thus goes together with processes of re-building the broader working-class movement and a recognisably left-wing culture. He calls for a focus on democracy, not only as a topic of practical political struggle, but as something indispensable to how revolutionaries operate. Democracy is necessary in the broader movements we are part of, and inside our own organisations. This dedication to democratic practice is inextricably linked with the development of self-confident cadres who can think independently and engage in political debate. It is connected with the pursuit of a critically engaged open Marxism, willing to question orthodox interpretations and engage thoughtfully with changing realities. The closing essay also emphasises the need for strategy. The ultimate goal for revolutionaries is the successful overthrow of capitalism and moving towards a democratic socialist future. This vision, the recognition of the potential inherent in current contradictions, and an awareness that current revolts can be the seeds of future social transformation, shapes revolutionaries’ perspectives. Elsewhere in the volume, Le Blanc cites Lukács, who wrote about the ‘actuality of revolution’ in his own short book on Lenin: the potential for revolution serves as a horizon for Marxist activists, and specific tactical decisions are made in the context of that broader worldview. The ‘three whales of Bolshevism’ – a strategic perspective encompassing an 8-hour working day, land redistribution and a democratic assembly – guided the Bolsheviks between 1912 and 1917, providing a link between day-to-day struggles and the larger vision of socialism. A fresh strategic vision is needed to guide our own efforts today, suggests Le Blanc, and to provide that same bridge to a socialist alternative. ‘Unfinished Leninism’ is a source of ideas about how to build a stronger anti-capitalist left – more coherently organised, wider in its influence, and capable of applying the lessons of history to new challenges – as well as an historical introduction. Hopefully it will reach many of the activists who are searching for effective ways to organise for a future characterised by democracy, equality and human liberation.